On October 22, we interviewed Country Director of Asian Development Bank (ADB) for Mongolia Yolanda Fernandez Lommen, who is working in Mongolia for the third year. Ms. Yolanda Fernandez Lommen tied her life and career with our country in 2011. -How do you feel about the ongoing projects in Khovd aimag, where you visited last week? -It was my first official visit in Khovd aimag since I became the Country Director. The road project is implemented successfully and we received good feedback from the local community about the project impact that has improved the living standards of many. Roads and connective are important to crater income and employment opportunities. The Western region is remote and faces infrastructure challenges in reaching regional markets. Thanks to this project the trade turnover of Russia and the People’s Republic of China through Mongolia will increase and local business will grow. In addition to the road project, an ADB project aimed at ensuring blood transfusion safety has also been developed. Through this project a modern blood bank has been established in the Regional Diagnostics and Treatment Center in Khovd, with blood reserves that can cover the needs for two years. It is remarkable to see how the road and health projects support each other. Thanks to the new road, people can get medical services quickly as the hospital is accessible in 2-3 hours from remote locations in the aimag, compared to the past when transit time in winter could take up to 48 hours, losing many lives. For all these reasons I was very pleased to see the project results. -ADB has implemented a number of projects and programs in Mongolia. What projects were implemented in health sector? -ADB has provided USD 132.55 million in assistance to the healthcare sector of Mongolia, including five loan projects worth USD 84.9 million, seven USD 37 million grant projects and 15 technical assistance projects worth USD 10.65 million. -In which sector ADB is planning to invest next year? -ADB has been cooperating with the Government of Mongolia for over 28 years. The projects have evolved along with the needs of economic development of Mongolia. In 2018, we have approved various projects that will be implemented from next year. We will cooperate in renewable energy in the western region to bring clean electricity to many households, renew wastewater treatment plants in five aimags, transform ger areas in Ulaanbaatar into affordable, low-carbon, climate-resilient, and livable eco-districts, improve tax administration and public investment management using information and communication technology, and pollution reduction in Ulaanbaatar. Health, sustainable tourism, urban development, regional cooperation, agriculture and irrigation, air pollution and transport will be key areas for joint work with the Government of Mongolia next year. 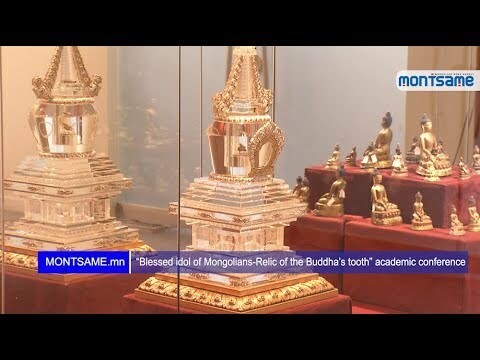 -What would you say about the results of projects implemented in Mongolia? -ADB is satisfied with the results of the projects implemented in Mongolia to date. We had the opportunity to support many critical areas since 1991, and have reached solid results in close collaboration with the Government of Mongolia in areas that have improved the livelihood of many households and created employment opportunities. -Air and soil pollution are the main issues of Ulaanbaatar. You have mentioned that you will focus on the reduction of air pollution next year? -It takes a long time and many efforts to reduce air pollution. We are supporting the improvement of the legal framework, which is needed to implement decisive actions to improve air quality. The project also supports the production of semi-coke coal briquettes that produce 70 percent less emissions than raw coal. Vaccination of children to prevent pneumonia and other respiratory infections is another goal of the project, an area where we are working closely with UNICEF. -How about the repayment process of the loans used for the projects implemented in Mongolia? -Loan repayment is running without delays. The Government of Mongolia has always honored its obligations. -What about the additional financing for the reconstruction of roads in Ulaanbaatar-Darkhan-Altanbulag and Uvurkhangai routes? -We approved a project to fund the upgrading and modernization of the road in August. Following the damage caused by the summer floods we are preparing a supplementary operation that will also rehabilitate other roads that were also damaged, like for instance, in Arvaikheer. The upgrading of the Darkhan-Altanbulag route is scheduled to start in spring next year.